Over one million people will get cancer each year, in the United States alone. The American Cancer Society seeks to lower this statistic through cancer research and services. “Many cancer deaths could be prevented by making healthy choices like not smoking, staying at a healthy weight, eating right, keeping active, and getting recommended screening tests,” explains the organization. To this end, they seek to educate the public on how to maintain a healthy lifestyle to prevent cancer deaths. The organization also provides services and support to those currently going through cancer treatment, such as patient lodging programs, 24/7 phone support, and transportation to and from treatments. Established in 1913, the society is now the largest voluntary health organization in the United States, with approximately 2.5 million dedicated volunteers. Some events the organization has held for the fight against cancer include Relay for Life and the Great American Smokeout. Relay for Life is an overnight community fundraising walk, while the Great American Smokeout is an annual event held to combat tobacco smoking. The American Cancer Society also implements public health advertising campaigns to educate others about cancer. A recent campaign, 80% by 2018, seeks to promote colorectal cancer screenings. The American Cancer Society is working in conjunction with the Centers for Disease Control (CDC) and the National Colorectal Cancer Rountable (NCCRT) – with the goal of getting 80% of adults above the age of 50 screened for colorectal cancer by 2018. According to a 2015 study by Cancer, this initiative would prevent over 250,000 cases and more than 200,000 colorectal cancer deaths by 2030. In July of 2016, a landmark was achieved, where an organization in Ohio was the 1,000th organization to sign the pledge. Overall, the American Cancer Society has helped save about 1.5 million lives in the past two decades through their assortment of services, initiatives, and cancer research breakthroughs. Megan Schmidt of American Cancer Society sought out ePromos for Good’s giveaway in order to secure promotional products for an upcoming relay. The annual relay, Hood to Coast, is a long-distance run that takes place overnight in August. 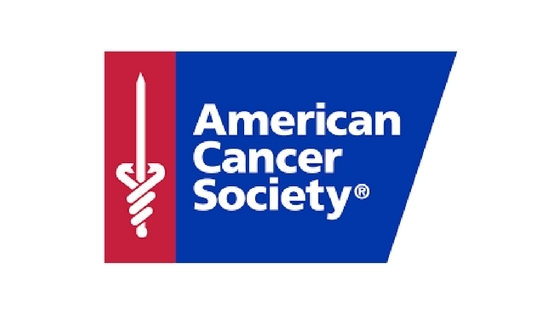 The American Cancer Society has five teams participating this year, who have collectively raised almost $50,000 towards the fight against cancer. Because these funds go towards providing services for cancer patients and cancer research, Schmidt looked towards ePromos for Good for promotional items that will act as a thank you to all that participated in the Hood to Coast relay. Items like promotional bags or water bottles will not only act as a thank you to participants but are a great way for The American Cancer Society to spread their brand through providing useful products for the runners and volunteers.